You are here: Home » “Putt’n 4 Pooches” Thank you! “Putt’n 4 Pooches” Thank you! 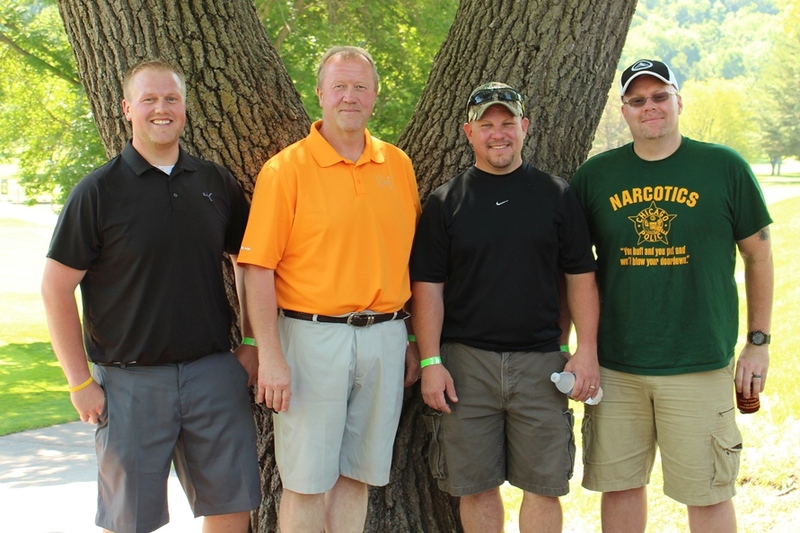 The La Crosse Police Reserves that volunteered at the golf course. 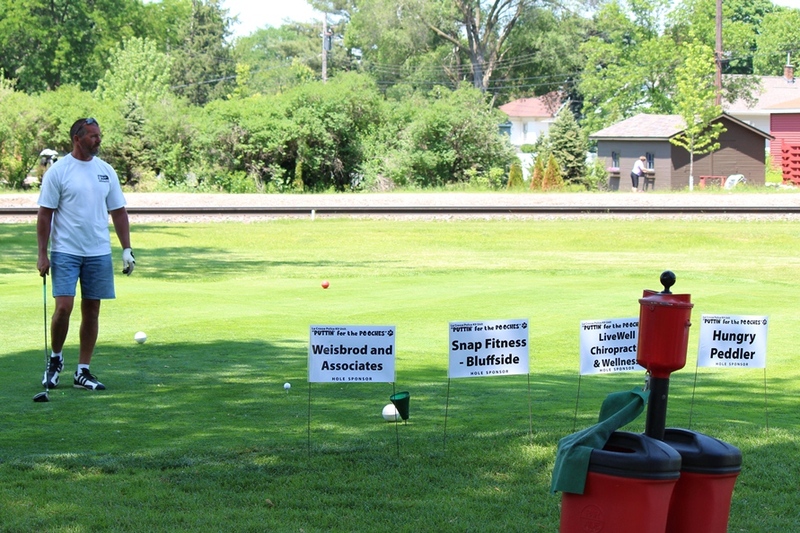 Last Wednesday, the La Crosse Police Department K-9 Unit hosted the 5th Annual “Putt’n 4 Pooches” Golf Outing and Fundraiser. 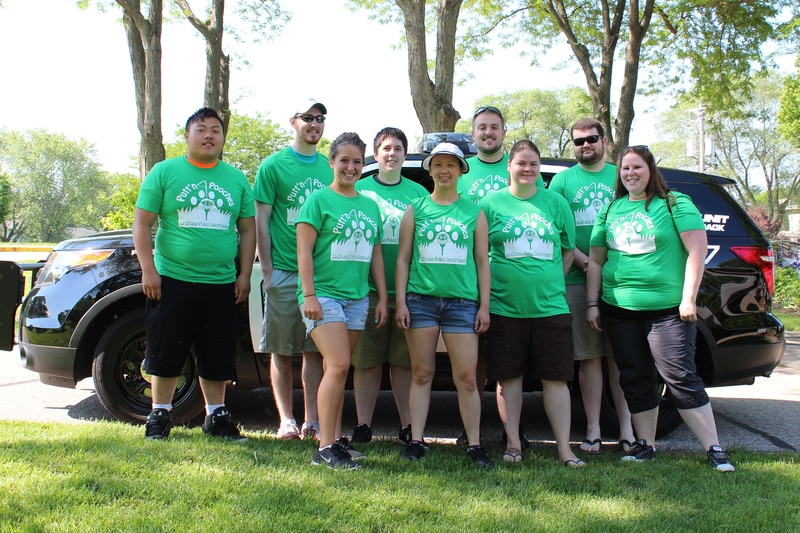 With a record thirty-one golf teams, this year’s tournament was a great success in raising funds to help train and equip the Department’s four K-9 teams. The local businesses, organizations, and individuals that donated funds or items to be used in our raffles and silent auction. Congratulations to the tournament winners: Tim Wilson, Bill Straschinske, Roger Johnson, and Jason Johnson. Don’s Towing & Repair, Inc. The K-9 Handlers with K-9 Zaback. 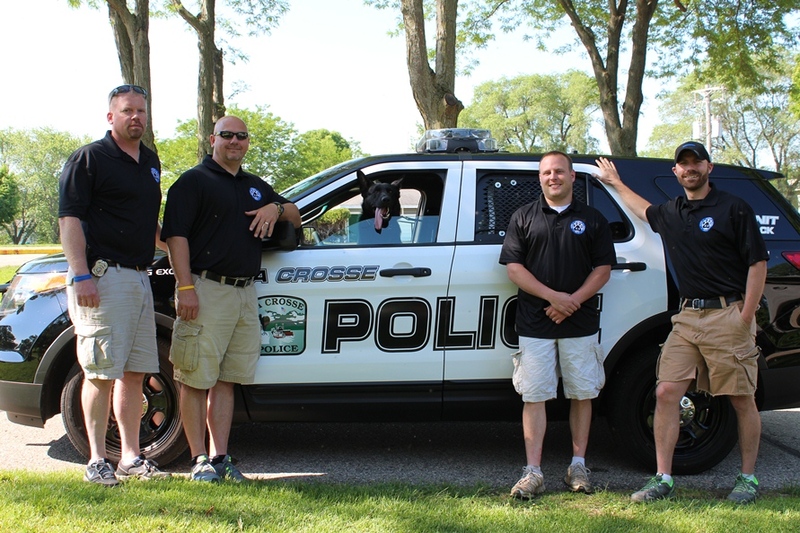 The La Crosse Police Department K-9 Unit runs primarily on donations. We couldn’t offer the exceptional K-9 program that we do without the help from our community supporters. Save the date! The 2015 “Putt’n 4 Pooches” tournament will be held Wednesday, June 10th. Look for more information on registration and hole sponsorship early next year.